Refresh your living room with the pop of color provided by this chic sectional. This piece features a fully padded, kiln-dried hardwood frame tailored completely in navy blue leather. 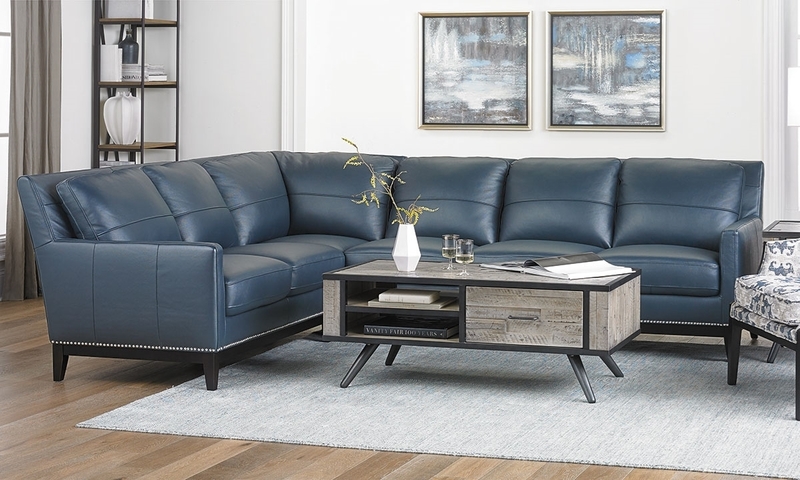 Plush cushions punctuated by narrow track arms add extra comfort and appeal to this eye-catching sectional, its dark exposed wood base trimmed with timeless nail heads for a refined look.